Image: Greg Hirson/Flickr//Original photo was cropped but not altered for this article. If you’re anything like me, learning that you can cook legit eggs in the microwave brings new hope to your mornings. As someone who considers herself a pretty darn good cook, I feel fairly confident in my abilities in the kitchen. I can make pasta from scratch, grind my own burger meat, whip up fancy sauces and create delicious meals from random items in the fridge. But do not ask me to cook eggs. Just don’t. Eggs have my number. I can’t scramble them, fry them or poach them. The end result is an overcooked and rubbery egglike substance. (And that’s if I can even get them out of the pan.) I’ll admit that I stopped trying some years ago, so now when eggs are required, the task falls to my husband. Maybe it’s the generous amount of bacon grease he cooks them in, but his eggs taste better any day. But now, HouseholdHacker tells us the microwave can make us look like egg-cooking geniuses. 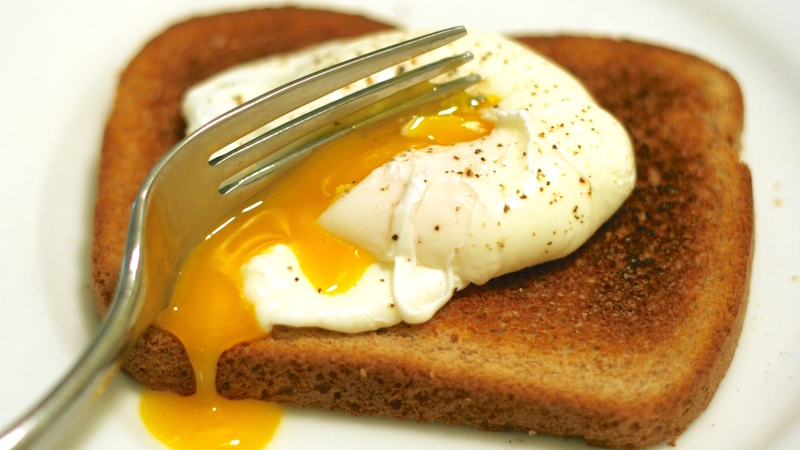 Sunny-side up and poached eggs with that perfectly runny yolk. Fluffy scrambled eggs that don’t have the texture of chewing gum. Sure, my first choice isn’t to microwave my food, but in the case of eggs, I’ll take all the help I can get. There’s more cool stuff in the video too. Check it out… I’ll be expertly cooking eggs in the microwave if you need me.